Last edited by ChristianSpringer271; 04-28-2016, 07:20 AM. Comparing cheap 3d printers is going to help do what? If all you want is a $250 printer, buy a glue gun. all in one printer under 200 you need to visit for more. would anyone recommend it or it is not worth buying? The cheapest i think is 101Hero http://www.101hero.com/. $79.00 for the normal one and $89.00 for the developer version. 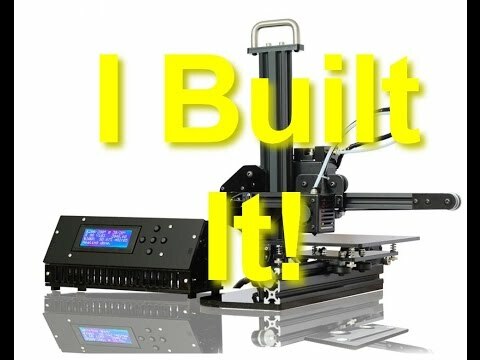 It started as $49.00 on kickstarter but if you look at the comments, some of the backers did not get any of the printer yet or they have defective stepper motors. Im one of the lucky ones that order on their website and received the printer after 2 months after their release dates. I have a problem on working the right configuration as some of the test prints turns out fine and some is just a blob of plastic. Does any one use 3D printer made in China? I'm surprised not to see the TronXY X1 here. Mine cost £155 shipped, in kit form. The kit is fraught with problems, but if you're at all handy, the printer you end up with is highly competent. Here's my build video in case anyone's interested. TronXY X1 - if you're handy and get get around the crappy kit quality, then you;'ll have a SUPERB printer for about £160. See my build video above your post for more. I never knew that I could get a 3D printer for $100. Having read this, I now look forward to see how it works. thanks for sharing the list of 3d printers recently we have compiled the list of best 3d pens like 7TECH 3D Printing Pen with details review . For one that “just works” flashforge finder. Under $400 and just works great. I have two. Buying a quality 3D Printing pen is hard, especially if you are a beginner, can be tricky. This is why we have reviewed a list of the ten best 3D pens.